You probably know this situation: You just quickly want to use a function in Excel, but it takes you way too much time searching it within the menu bar. Admittedly, the ribbon structure of Excel can be quite confusing. But there is a solution: The Quick Access Toolbar. You can save the most important or frequently used buttons in this menu bar on top of the screen. That way, you can easily access your favorite functions. So let’s see how it works and learn some tips and tricks. Which buttons should you add to the Quick Access Toolbar? 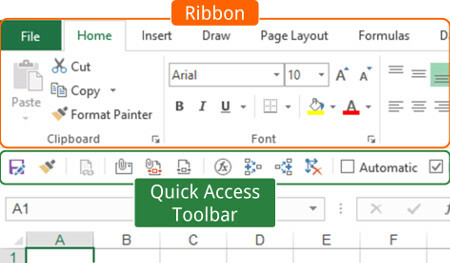 Definition: Ribbon and Quick Access Toolbar. First of all, what is the Ribbon and what is the Quick Access Toolbar? The Ribbon, the large menu bar on top of the worksheet. You can add buttons (which you frequently use) to the Quick Access Toolbar (QAT). The QAT is a small row of button above or below the ribbon. Using these two menus cleverly, you can save a lot of time. Let’s take a close look at it. The Quick Access Toolbar is always on top of the screen. It doesn’t change when you go to another ribbon. That’s why it’s very useful: You can save your most important functions there and always “quickly” access them. Add a button to the Quick Access Toolbar by right clicking on it. Adding and removing buttons from the QAT is very easy: Just right click on any button on the ribbon and click on “Add to Quick Access Toolbar”. Yes, it’s that simple. If the button is greyed out it means that it is already in your Quick Access Toolbar. Removing buttons from the Quick Access Toolbar works almost the same way. Removing a button works almost the same way: Right click on the button on the Quick Access Toolbar and click on “Remove from Quick Access Toolbar”. Now it’s gone again. 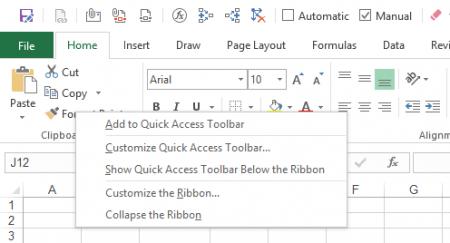 Organize the Quick Access Toolbar in Excel. Often, you slowly add more and more button to the Quick Access Toolbar. After some time, you might want to reorganize it or clean it up. 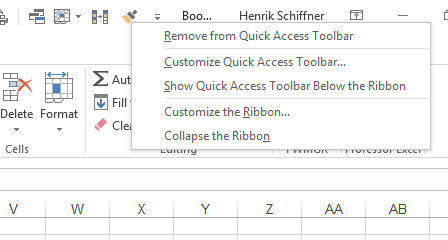 Excel offers a menu for (re-)moving button to the Quick Access Toolbar. You can also add more rare (but still very useful buttons), which are not on any ribbon. Right click on the Quick Access Toolbar. Then click on “Customize Quick Access Toolbar”. Now you will see the window on the right side. It has to parts: The available commands (orange) and your current Quick Access Toolbar (QAT, green). Add or remove buttons. Select a button on the left hand side and press add. It will be inserted into your Quick Access Toolbar right under your currently highlighted item. If you want to add a special button, change the drop-down menu on the top from “Popular commands” to “All commands”. Move your buttons up or down with the small arrow buttons in order to re-organize their order. Furthermore, you can import or export existing Quick Access Toolbar. Attention: If you import such settings, the existing customization will be lost. Please take a look at the image above: Importing and exporting customization files can be done by clicking that button. These customization files include your current Quick Access Toolbar settings as will as your personal ribbon settings (if you got some). How do you get there? Right click on any ribbon or your Quick Access Toolbar and click on “Customize Quick Access Toolbar”. Attention: If you import such settings, the existing customization will be lost. Add a button for your own macro to the Quick Access Toolbar. Besides normal buttons you can also create buttons for your VBA macros. Excel allows you to add any “Sub” with no arguments. “Private Subs”, “Subs” with input arguments or functions don’t work. In order to add your individual button, right click on the QAT again. Next, click on “Customize Quick Access Toolbar”. Switch the top drop down menu from “Popular commands” to “Macros”. Now you see the list of your available macros (either in your current document or of your Excel add-in (“xlam”-file). Simply add them with the Add button. If a new ribbon (like the “Table Tools”) opens, half of the Quick Access Toolbar will be hidden if it is located above the ribbon. QAT above the ribbonQAT below the ribbonWon’t be hidden when a new ribbon (like “PivotTable”) opens.Needs more space on the screen than above the ribbon. DisadvantagesHalf of the ribbon will be hidden when a new (special) ribbon (like “PivotTable”) opens. Advantages Needs less space, as the space is otherwise just blank. You can easily change the position: Right click on any ribbon or the QAT and click on “Show Quick Access Toolbar above the Ribbon” (or below, depending on the current state). Access the Quick Access Toolbar with keyboard shortcuts by pressing Alt + 1 (for the first button as shown in the numbers). All you have to do is press the Alt key on the keyboard. 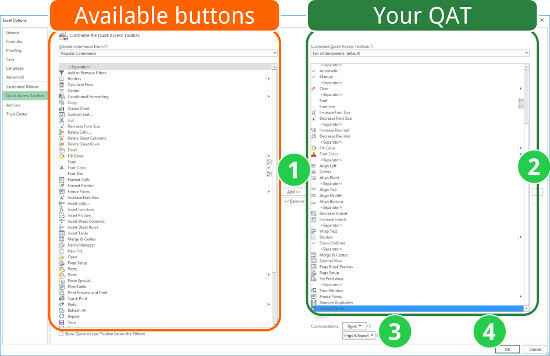 Excel shows you then your options for accessing the QAT with keyboard shortcuts, usually shown with numbers. The first QAT got the number 1, the second one 2 and so on. Just press it and you can use keyboard shortcuts for your individual QAT. Quite cool, isn’t it? The short answer: It depends. 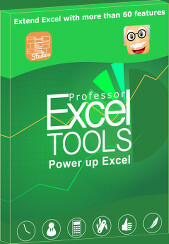 It highly depends on what you need in your daily life in Excel and what steps you already got covered with keyboard shortcuts. If you for example always use Ctrl + c for copying cells, it doesn’t make sense to add the copy button to the QAT. Slowly add – one by one – button of functions you usually take some time searching for. Nonetheless, you should make sure that you sometimes use these commands. Don’t add functions you only use once per year – therefore the space is too precious. There are some button with the same functions in all Microsoft Office programs. A good example is the format painter: It is available in Word, PowerPoint, Excel and even Outlook. So why don’t you put it in the same position in each program? That way, you can also remember the corresponding Alt-keyboard shortcut easily. Most important shortcuts should go to the left hand side of the QAT. That way, they won’t be covered if a new ribbon opens. Also the keyboard shortcuts for accessing them is shorter and therefore easier. It’s contradicting: In the previous chapter we just said that you should make up your individual Quick Access Toolbar. But nonetheless, we’ve created an example of what buttons might be useful. 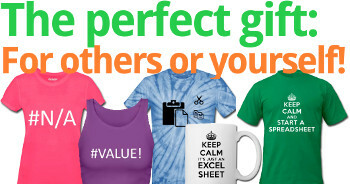 But of course, it highly depends on your daily work in Excel. Suggestions for your Quick Access Toolbar. The save-as and format painter buttons we use throughout Microsoft Office. Maybe the save-as button is not really necessary as there is a direct shortcut (just press F12). But the format painter is very useful. You might notice, that there is no undo or redo button. The reason is, that we use these functions with the keyboard (Ctrl + z and Ctrl + y). Edit links is for our daily work very helpful. It’s not only a button, it also shows if there are links in the workbook. Attach the active workbook to a new email. Attach the active workbook as a PDF file to a new email. Save the selected worksheets as a PDF file to the disk. These formula auditing buttons are very helpful for error checking: Check the current formula step by step or trace precedents and dependents. Change between automatic and manual calculation. Also these buttons not only let you change the calculation method, they also show you the current option. 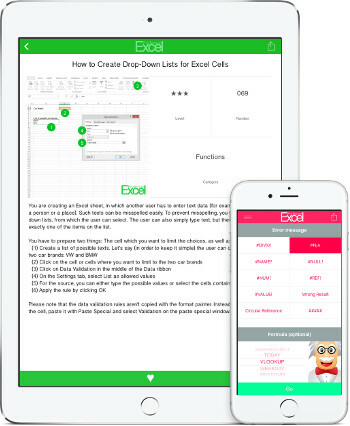 Clear not only the cell contents but also the formatting with the additional deleting options. All important buttons for the font (type and size). Increase or decrease the number of decimals. These – and the following groups – are about formatting: Fill color and font color. The horizontal text alignment (left, center, right). The vertical text alignment (top, middle, bottom). Increase or decrease the indentation. Hide or show the gridlines. View current workbook in more windows. Freeze header rows or columns. If you like these suggestions, please feel free to download the whole customization file here. 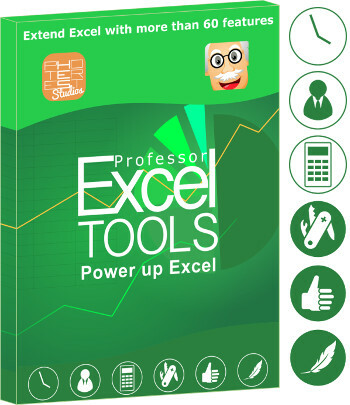 You can import it into your Excel as described above. But please be aware, that your current customization will be removed. So please export it first if you want to keep it. As I really liked your setup with the automatic and manual calculation options I added those to my QAT as well. However they are only shown with the green circle used standard for all special commands. As they are shown in your example as tick boxes, I downloaded your file and compared it to mine. The show exactly the same instruction. Can you tell me how to get those tick boxes? I am using Excel 2016. I had the same problem. But if I remember correctly, after some updates of Microsoft Office it was gone and instead of those green circle tick boxes, it showed the correct description again. If you click on “File” and “About”, it shows the version number (e.g. “Version 1707”)? Version 1707 should be the latest version as of today.